Party in the sewing room! 111 blocks done! 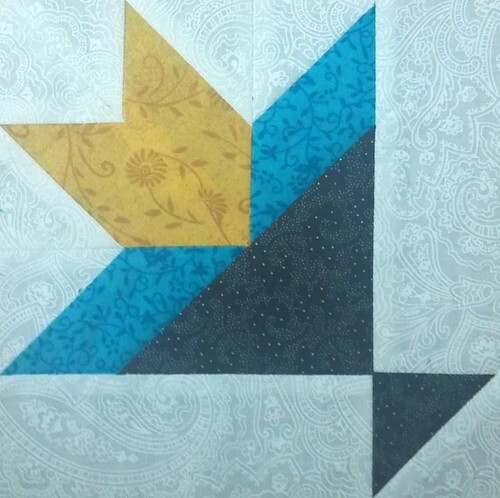 I have conquered all of the blocks in The Farmer’s Wife Sampler! And I don’t have any left to remake either! I finished those yesterday as well. 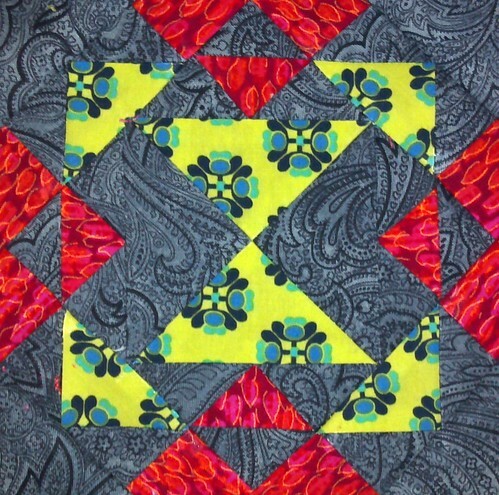 An extremely easy paper-piecing block. I was just avoiding it because, as I’ve said, I’m so over basket blocks. 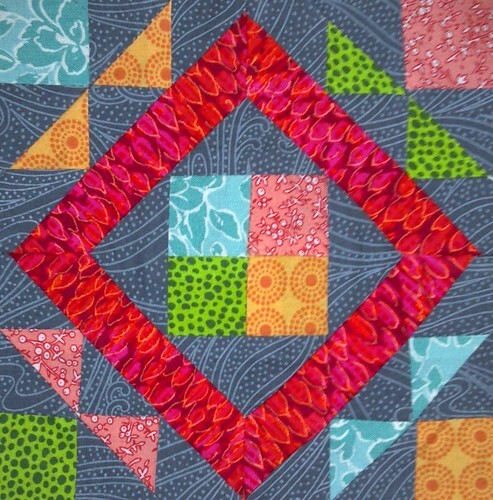 A re-make, because when I looked over the photos of these block in my Flickr group, I just hated the original attempt when compared with the rest of the blocks. Re-make number two. Thankfully all the blocks I decided to remake were super simple. I pulled some of the older stuff from the stash. Lots of prints are going to be headed to the scrap bins after this project. I think my next project will be to sort my scraps by color. Re-make number three. Not sure what’s so contrary about this block. It went together quickly and easily. I need to block this block, so it lays correctly. The colors make me think of sherbet. 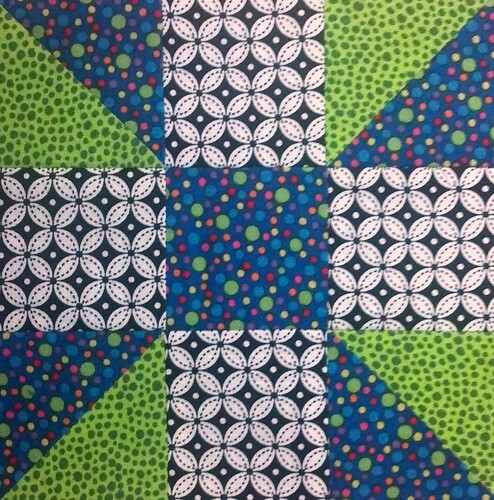 The last block I needed from the book! Woo!!! 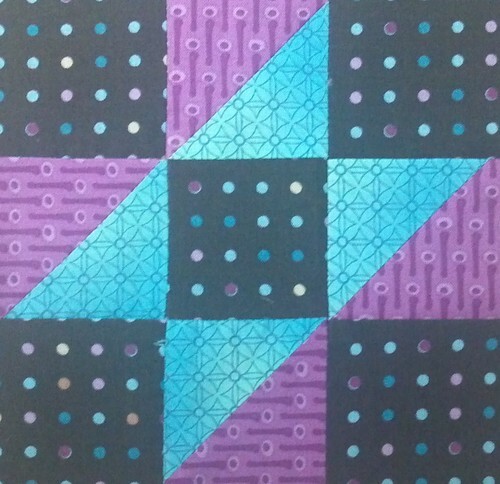 Paper-pieced, of course. 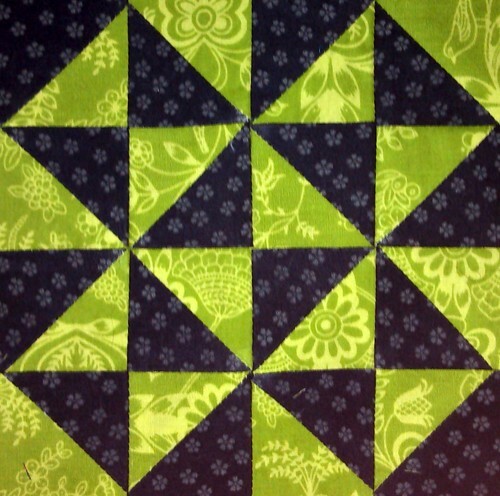 Now, I just need to sit down and make nine more blocks, to get me to the 121 I need for the full top. I’m debating getting out of bed to pick some relatively easy ones and get them done before I have to go work today. Thank you! I’m really pleased with the blocks. i really like your broken dishes remake. I’m much happier with it! Beautiful – congratulations! I love the background fabric that you’ve used in Bouquet! Thank you! I have a thing for paisley, in all colorways.